Aradi, Zsolt. The Popes: The History of How they are Chosen, Elected and Crowned. NY: Collier, 1962. Corbett, James A. The Papacy: A Brief History. Princeton: D. Van Nostrand, 1956. Farrow, John. Pageant of the Popes. NY: Sheed & Ward, 1946. Attwater, Donald, comp. A Dictionary of the Popes: From Peter to Pius XII. London: Catholic Book Club, 1939. Coulombe, Charles A. Vicars of Christ: A History of the Popes. NY: Citadel, 2003. Brusher, Joseph H. Popes through the Ages. Princeton: D. Van Nostrand, 1959. John, Eric, ed. The Popes: A Concise Biographical History. Harrison: Roman Catholic Books, 1964 reprint. Walsh, John Evangelist. The Bones of St. Peter: The First Full Account of the Search for the Apostle’s Body. Garden City: Image, 1985. Allies, Thomas William. The See of St. Peter: The Rock of the Church, the Source of Jurisdiction, and the Centre of Unity. NY: Lawrence Kehoe, 1866. Butler, Scott, et al. Jesus, Peter and the Keys: A Scriptural Handbook on the Papacy. Santa Barbara: Queenship, 1996. Costanzo, Joseph F. The Historical Credibility of Hans Kung. North Quincy: Christopher, 1979. Dolan, Thomas S. The See of Peter and the Voice of Antiquity: Critical Notes on Bishop Coxe’s Ante-Nicene Fathers. St. Louis: Herder, 1908. Guarducci, Margherita. The Primacy of the Church of Rome: Documents, Reflections, Proofs. San Francisco; Ignatius, 2003. Jaki, Stanley L. And on this Rock: The Witness of One Land and Two Covenants. Front Royal: Christendom, 1997. Journet, Charles. The Primacy of Peter: From the Protestant and from the Catholic View. Westminster: Newman, 1954. Kendrick, Francis Patrick. The Primacy of the Apostolic See Vindicated. NY: Edward Dunigan, 1848. Madrid, Patrick. Pope Fiction: Answers to 30 Myths and Misconceptions about the Papacy. San Diego: Basilica, 1999. 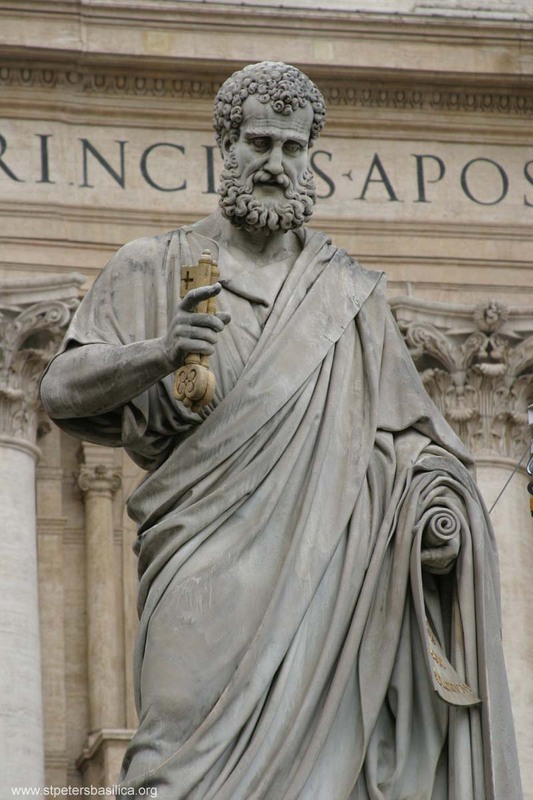 Ray, Stephen K. Modern Apologetics Library: Upon this Rock — St. Peter and the Primacy of Rome in Scripture and the Early Church. San Francisco: Ignatius, 1999. Reid, Scott M. P., ed. Adrian Fortescue: The Early Papacy to the Synod of Chalcedon in 451. Southampton: Saint Austin, 1997.